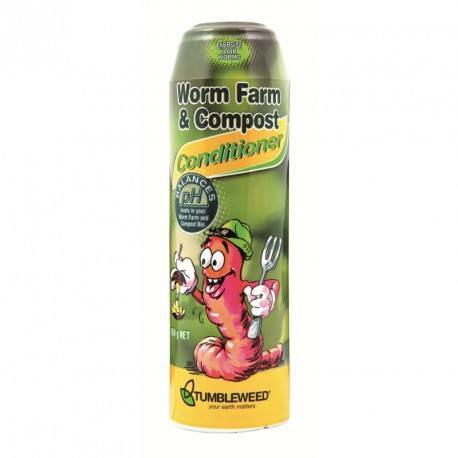 Tumbleweed Worm Farm and Compost Conditioner helps neutralise acidity and balance the pH levels in your worm farm or compost bin. This means your worms can digest larger quantities of food waste faster. 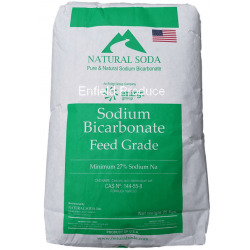 Helps soil bacteria preserve essential nutrients and increases the availability of nutrients for plants. 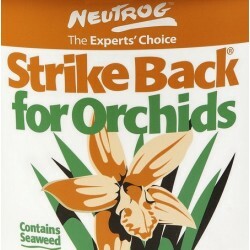 It also helps reduce odours and pest infestations. Tumbleweed Worm Farm and Compost Conditioner 850 grams. Tumbleweed Worm Farm & Compost Conditioner helps neutralise acidity and balance the pH levels in your worm farm or compost bin. This means your worms can digest larger quantities of food waste faster. When used in compost bins and tumbling bins, our conditioner helps soil bacteria preserve essential nutrients and increases the availability of nutrients for plants. 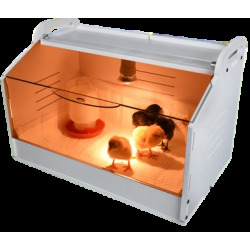 It also helps reduce odours and pest infestations. Tumbleweed Worm Farm & Compost Conditioner is made from a specially selected blend of natural minerals. Balances pH levels in your worm farm and compost bin. 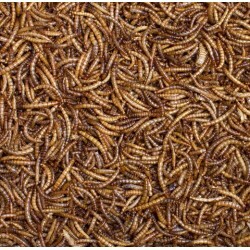 Helps worms digest larger quantities of food waste. Q. What minerals does this product consist of exactly and is it much different from Dolomite? A. This product does not specify what it consists of exactly but we suspect that a large portion of it is dolomite.